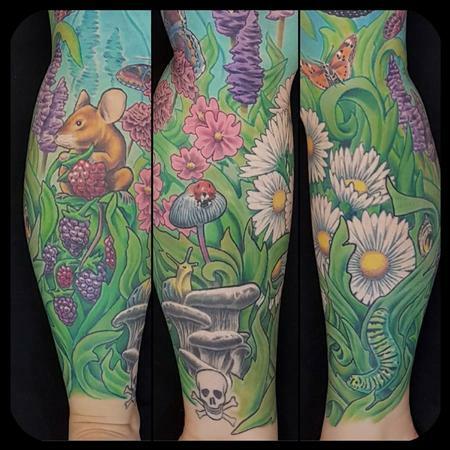 I recently finished off this nature inspired leg sleeve. I really enjoyed mixing realism with the illustative style. I'd love to do more of this style of work. here's some detail pictures of this tattoo.